We booked this Best Western franchise hotel in San Bonifacio, Italy through secret deals on Hotwire, on January 1st, 2016, we chose this hotel because of it's close location to Verona and affordable price (about $60). I love using Hotwire, in most cases there are great value deals, but it was not like this time. We got a small, bad equipped room from Hotel Soave. No, I'm not complaining, our stay was pretty OK. But it was far from the expected. 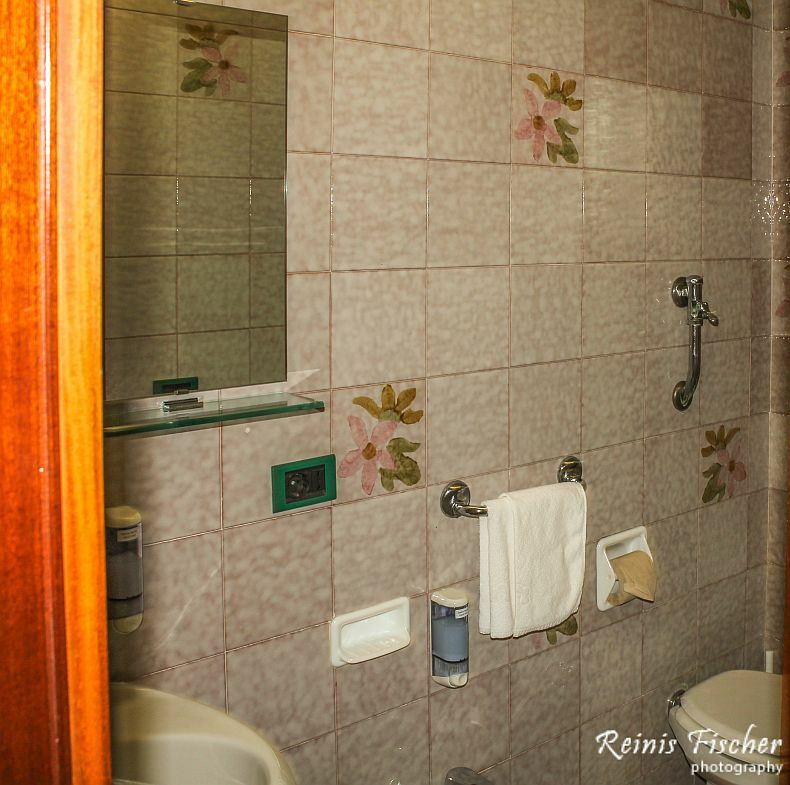 Hotel Soave is 200 m from San Bonifacio Railway Station and 800 m from the A4 motorway exit. It offers free parking, free internet, a fitness centre and a varied buffet breakfast. We made a mistake on reservation and selected queen size bed... when at the reception I asked could we get a King Size bed, thus it was our fault - receptionist didn't agree to change this room. 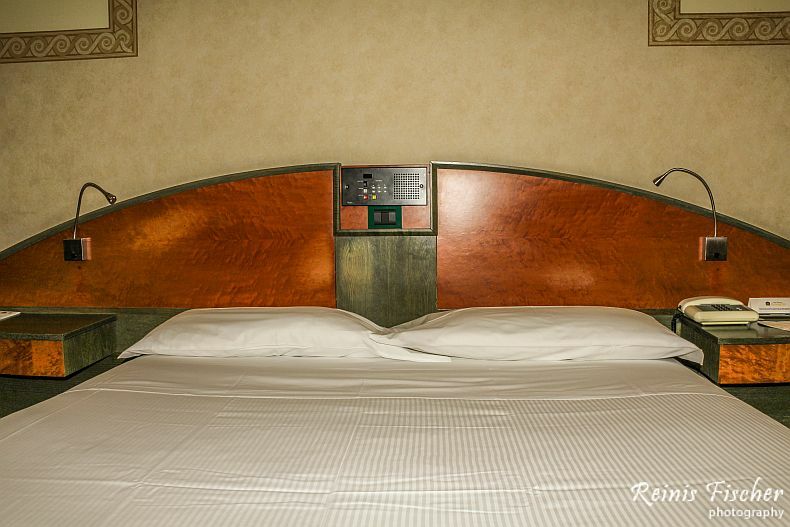 All rooms of the Soave Hotel feature a king-size bed, a 20" LCD TV with Sky channels, and an MP3 and DVD player. Playstation games are available to rent from reception. Sky channels were hard to turn on on the small flat screen, it took some 30 seconds to turn the device on, and then some 30 minutes to understand how it works. Free channels were just some 16. Speaking about bathroom - it looked like stayed from some 60-ties... well for a quick shower it was OK.
Can I recommend this hotel? 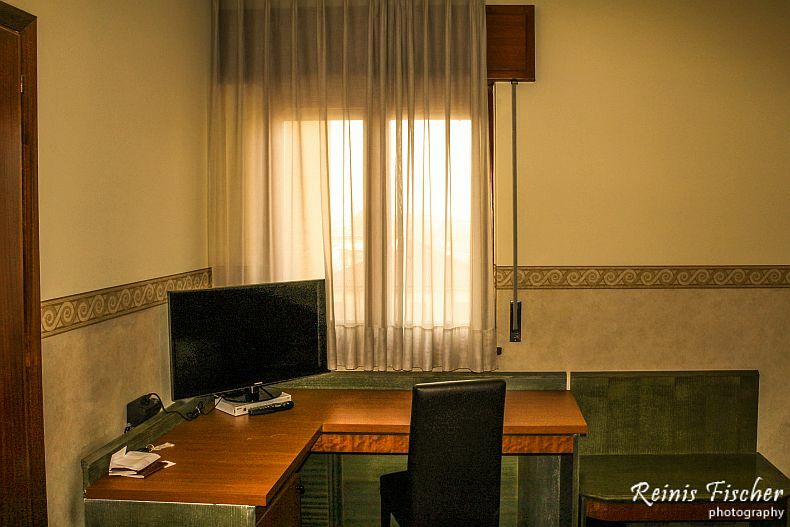 Nope, I can't - I would never book this hotel again (well that's the downside of secret deals on Hotwire) - so I don't recommend this San Bonifacio hotel to you. Sorry!